I am back again with 3 more high street make-overs for 3 of our favourite leading ladies! Yes, this post it's time for Aurora, Jasmine and Pocahontas to take the spotlight! What do you think girls? I've been loving all your comments on these so far! Aurora was always my favorite princess and I love that outfit. It's so Ariana Grande, and I absolutely love her style. Great post hunn. i love this idea, you did such an amazing job placing these pieces together. Aurora is super adorable but i love them all. I am so much loving this series! You're doing a spectacular job of choosing just the right modern items for these women. I have to say this time Aurora is my favorite. She's my favorite Disney princess and I love that you gave her a super pink feminine look! 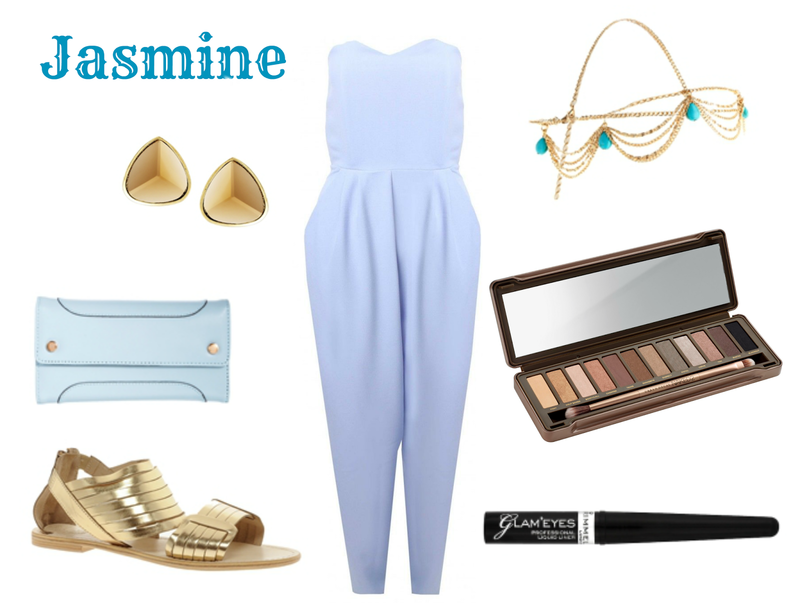 I love the Jasmine look, that jumpsuit is beautiful and such a perfect spring shade.